Creating the perfectly moist, delicious and beautifully decorated cake has always intimidated me. My mom, the baker of the family would always show up to parties and get-togethers with the most lavish cakes. I, on the other hand, have had my fair share of difficult disasters. Sunken centers, dry and crumbed heaps of cake, clabbered icing, and burnt pieces that even sprinkles can't fix. After three years, two advanced pastry classes, many tears, and my mom's guidance, I have finally found the perfect recipe. 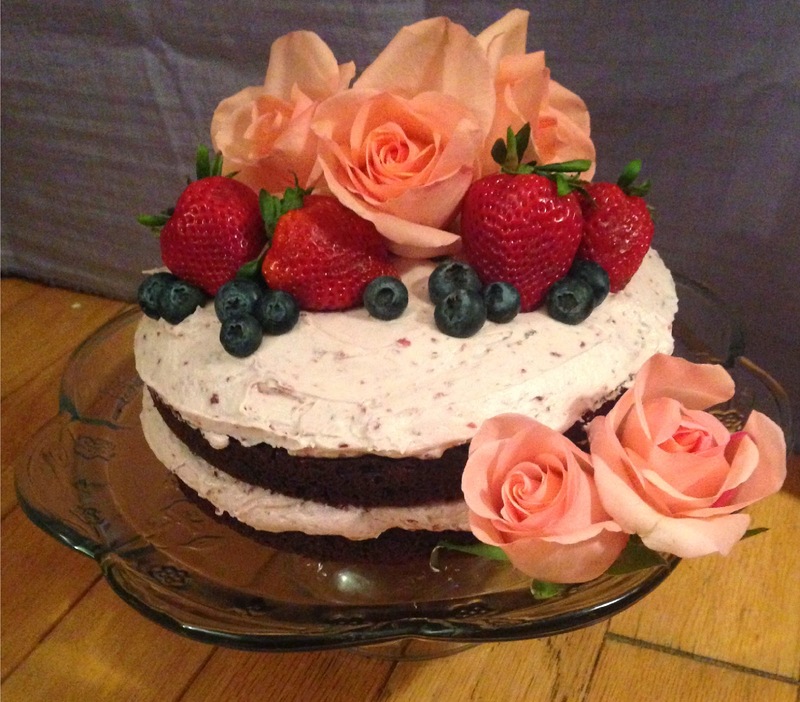 I use a box devil's food cake mix (according to package directions) and add a homemade raspberry buttercream. Simple, easy, and completely chic. Decorate and enjoy! Place butter in a mixing bowl fitted with paddle attachment and cream until smooth. Add sugar, one cup at a time and mix until smooth and combined. Add vanilla and raspberry jam and mix. If icing is too thick, add heavy cream until it reaches desired consistency. Can be made with any jam or even preserves. Best cake I've ever eaten!!!! !